Are you seeing the angel number 1212? This is a symbolic message and sign of your spiritual growth as an infinite being… But wait angel numbers? “Angel Numbers” are the sequences of numbers you may repeatedly see as you go about your daily life. Angel numbers appear in a variety of ways and in any number of different places. You may glance at the clock, notice a license plate, get change in a certain amount, notice a street address, or dial a phone number and notice that certain numbers keep appearing. What Does Seeing Recurring Numbers Mean? When you see recurring numbers, it's more than just an interesting coincidence. 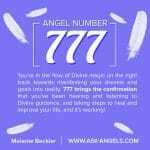 Numbers are a common way the angels use to get your attention and to convey a message. When you notice a number sequence, ask your angels what it means, and then pay attention to your thoughts, feelings and ideas to tune into the meaning. In addition, you can look to the vibrational meaning of numbers to further understand the significance. 1212 is a common angel number I have had many requests to discuss in further detail… So here it is! What is the Angel Number 1212 Meaning? The number 1212 carries the vibration meaning of both the number 1, and 2 in an amplified way (since each number appears twice). In their most simplified meaning, the number 1 is a reminder that your thoughts create, and to stay positive. The number 2 reminds you that all is well and that you have a powerful team of angels you can call on for assistance to help you stay positive, and attract a positive outcome. When combined as the number 12, the angels are sending you the message to stay positive about the future possibilities which are unfolding before you. They want you to ask for help, and to trust that a positive outcome is aligning. This trust, and positivity are strong indicators of what will unfold. 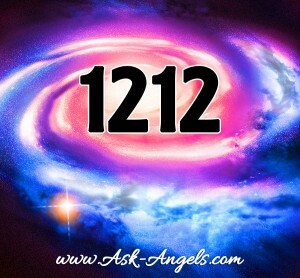 The 1212 angel number further amplifies the meaning of the number 12. 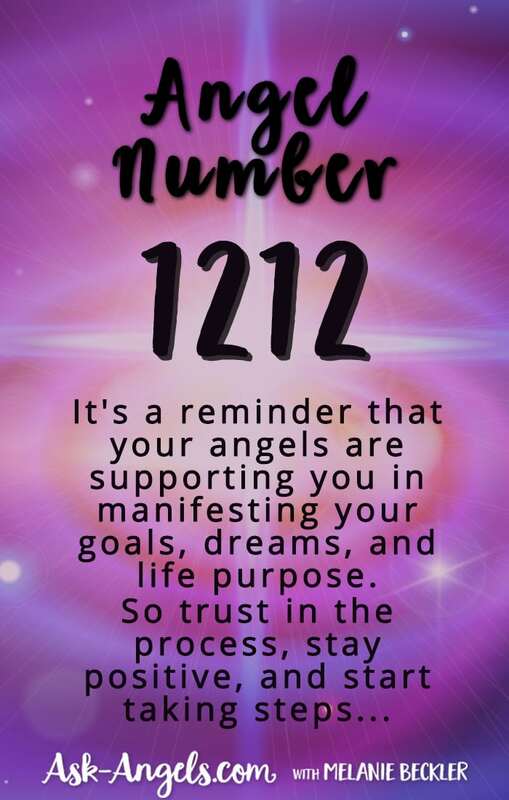 Instead of just being a message to stay positive about future possibilities, 1212 is a message to stay optimistically focused on your highest possible future, and a reminder that your angels are supporting you in manifesting your goals, dreams, and life purpose. 1212 is also a signal that you're on the verge of a positive change, or things in your reality have already shifted in a positive way. It's a reminder of the infinite growth potential available to you as a spiritual being. 1212 often eludes that you may need to step out of your comfort zone to attain your goals and reach highest possibilities for your life. It is a number of encouragement with your angels saying “go for it!” from behind the scenes. You're definitely not alone in healing and improving your life situation when you see 1212. There may be many changes in store for you, but the angels are guiding you and assisting you in elevating your vibration and improving your life in all ways. Release any fear or doubt and focus on the best possible outcomes. With a positive outlook, a willingness to change habits for the better and to take steps in the direction of your dreams you will see harmonious results and your angels will be there to support you the entire time. In a bit mo re esoteric meaning, 1212 may also signal the completion of an energetic download, or that you've actually gone through a sort of portal or gateway, shifting timelines, so that you're now closer to your desired outcome than ever! Trust, stay positive, and start taking steps. 1212 is also said to be a code which activates your merkabic field. What Does 1212 Mean In Love? When it comes to love relationships, seeing the number 1212 has an added layer of meaning and significance. In this case, 1212 can signify that your love life is undergoing positive change! This may mean that you've recently experienced a short of timeline shift in which you're now more open and available to a loving relationship than ever before… Or if you're already in a relationship it can signify that your love life now has the potential to take on a more harmonious, loving and postitive qualities. Remember than angel numbers are a sign of angelic guidance and a reminder of the love and potentials available to you! In the case of guidance around love… Stay positively focused on aligning with the most harmonious, loving and positive relationships that are truly possible for you to align with in your life. 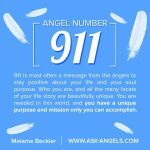 1212 Angel Number brings the message that higher vibrations of love and light are available to you… Tune in! Whatever the specific meaning is for you (which you can determine by paying attention in the moment and noticing whatever else is happening around you) the 1212 angel number is a great reminder from the angels that they are supporting you in your life, assisting you in fulfilling your purpose, and encouraging you to stay positive, to go for it, and to know that you play an important role in manifesting your highest and best possible future, but you also have powerful help! In addition to the numbers you see, you also have numbers associated with your name and birthday which provide further guidance in what you're able to accomplish here in the physical. Click here for a free numerology reading where you can learn what your name and birthdate say about you! Or Click Here for a 12th Dimension Ascension Activation! P.S Do you see 1212 or other angel numbers? Did you enjoy this post? Comment below! Check out the meaning of even more angel numbers below! Hi, I suffer from bi-polar, manic depressant and a dis sociate disorder and I find it really hard to think posivitally. I self sabotage mentally and this can be at any moment during my waking hours. I need help to stay positive, I’m on all this medication but that only just controls my mood swings. I need help can anyone shed light on this PLEASE. Thank you. I see 12.12, 10.10 most days. I just ended a long term relationship with a guy who had cheated on me once in the past. During the course of him cheating, I kept seeing 12:12 or 12:21 on the clock whenever i would randomly check it. This only happened before the truth came to light about his cheating. I broke up with him, but then got back with him later on. Sure enough it started to happen again. 12:12 or 12:21 whenever I checked for the time. I broke up with him again as I knew the universe was telling me that he wasn’t the one. My birthday is 12/12/88. My son’s birthday is 21/12/08. My birthday is 12.12.1973, my best friends birthday is 12.12.1968, and other best friends birthday is 12.06.1975. Number 12 is very important in my life! I was with my twin and saw the number 1013 which is a number i relate to with him. Then i saw 1111, then 1212. I felt that spirit and my angels were confirming being with my twin is progressing and to give it time, rather than run for the hills (although Im not the runner). Please advise. I have repeatedly seen various Angel number recently. 1111, 1212, 1919, 2020,2121,2222 are the more prevalent ones that i keeps seeing. 1111 is the most common. I started seeing these digits when i began to try and visualize a better future for myself. I KNOW that it is not coincidence too as the other day i was just looking at a news article about Iphone features and there was a picture of the home screen of iphone and the time on it was 1111. I believe i am being awoken spiritually. I am both terrified and excited at the same time. Is it common to see so many angel numbers? I have many occurrences of seeing the numbers 1212. It started the night I lost a close family member continued for a few months stopped for almost 3 years and has started back up about 2 months ago. I see it in very odd places its also the date I met my husband 1212 we just bought a used vehicle I looked up the Carfax report and it was sold to the dealership on 1212 so I felt that was a sign so we bought it. It seems when I talk about the numbers they tend to show up like on a trip odometer also I was talking to my sister about it and my dryer flies open at the exact moment. I’ve also been hearing my name being called by a lady. I feel a presence around me. Could this be my guardian angel. Wow. So beautiful you are in every way, thanks for passing along the messages! The numbers for my birthday year and last four of my social have popping up everywhere lately. would you be able to tell me what that means? Thank you for all the great information. I get these numbers a lot. But my question is, what about birthdays? I woke up repeatedly when I was pregnant with my son at 12:12. That ended up being his birthday. Also mine is 11/11 and my brothers is 3/3. I have a feeling that it just boils down to numerology, but I am just curious if there is any more information tied to repeating numbers and a birthday. Thank you! Thanks so much for the angel number translations – wow I have had a wild time lately, every day I have seen angel numbers – almost like the angels are screaming at me, 111, 222, 444, 11:11 and 12:12, over and over. I am happy for their messages and thank you for the meanings. I really must be on the verge of something special and the angels want to help me get there. I am deeply grateful for all the help. Namaste. Thank you Melanie. 12/12 marked a huge shift and major transition for me. I departed my corporate job and made the decision to pursue what I’ve been called to do as I want to serve thousands of people and help them find their way. It has been a battle these last few days to maintain my positive mindset. Your post is so uplifting and very timely. I also observed so many angels giving me love yesterday. I am so happy and grateful that I am not alone on my journey in the pursuit of living at a higher vibration. Sending love and blessings your way. Thank you to God and all of the angels, archangels and seraphims that are guiding our path. Hello Melanie, I really enjoy all of your Angel sessions. They help me daily thank you for allowing God, your Guides, and yours Angels to work through you. Please continue to help people like me. I was born on May 12, 1962 and I know that I am special. I needed to read this about the number 12. I’m the chosen one of many that has the true spirit of 12:12 I see the number 12 then the next time I’m not focusing on it 12 comes again. I also grew up on 1212 park ave in WV. Trust me I’m the chosen one.? Thank you for your light Melanie! This was helpful. lately I have been seeing 12:12 pop up a lot, as well as 4:44 I use to always see 11:11. After reading the post it help me to understand, too keep doing what I have been; praying and asking for guidance. Now I will know to also stay positive through it all. I have also been feeling like I have been slipping into other dimension; it is a strange feeling and leaves me with a feeling of being lost for a moment and wondering where I just went. I love this and use it all the time. Is this is really true? I would like to know does 1:11have any significant meaning? Two days ago I was inundated with 555………. What’s the hidden message with 555?? What does it mean when I see verry often the 1414? My Birthday is on 12-12. Lately I have been connecting with the number 15, it’s been on my mind for the past month.. I always see the number 11 what ard the angels trying to tell me? My birthday is on 12-12!